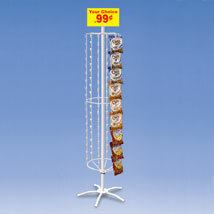 Perfect rotating clipping display for snacks and impulse merchandise. Lightweight, portable and easy to assemble. 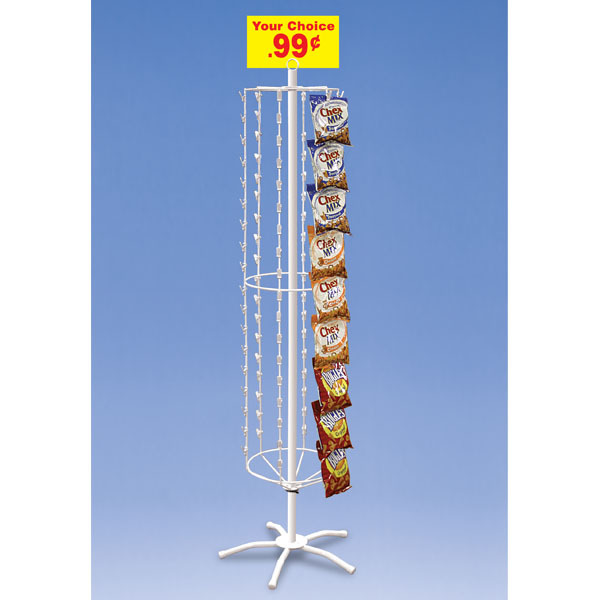 6 strands of strips with 18 strong clips for a total 108 displaying clips. Sign holder included. Some assembly required.